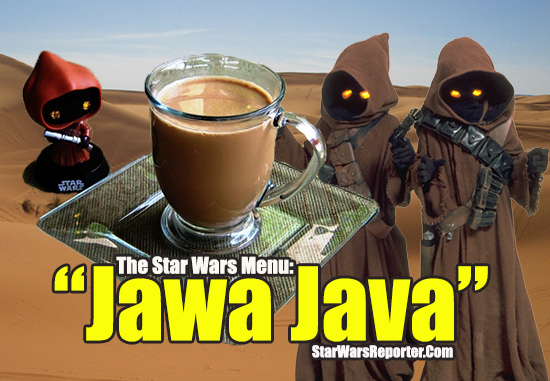 The Star Wars Menu: Make Your Own, "Jawa Java"
I used to have this comfy, cozy, mellow-brown velour robe with an over-sized hood that I made and wore for a few years as a teenager and even into my early 20s. It was the perfect thing to wear when watching Star Wars. 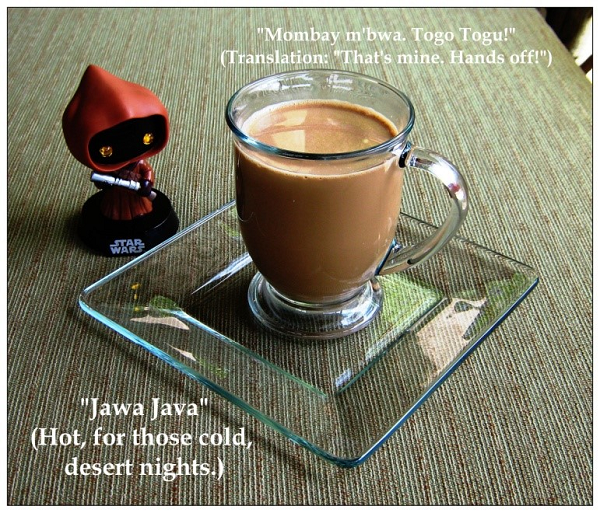 Then I would walk around the house and drive my mom crazy by (sort-of) speaking Jawa. 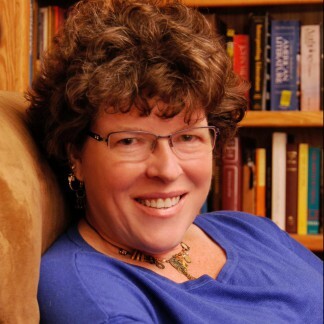 Sometimes I miss that robe, but it wore out a long time ago (but not in a galaxy far, far away; just here in Albuquerque, which sometimes resembles Tatooine…). This recipe is delicious both hot or cold. It’ll keep for a few days, so just mix up the entire recipe and keep it in a covered pitcher in the refrigerator, then either heat some in the microwave or pour it over ice. 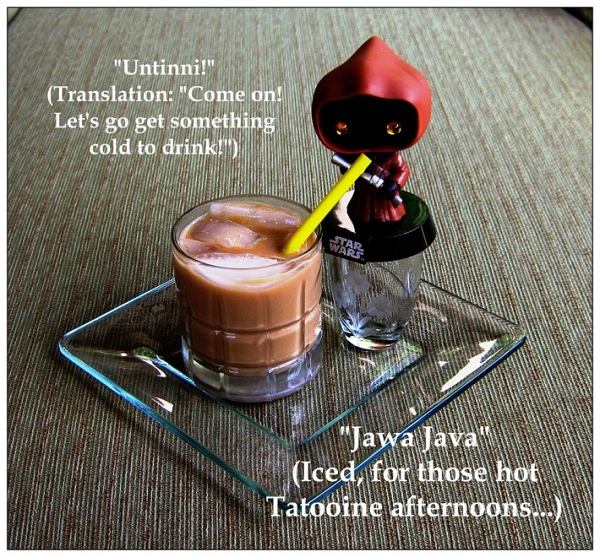 You can omit the espresso powder for a milder drink (I’d compare it to something like a Starbucks Frappuccino). You can add a generous shot of liqueur for a kick, either hot or cold (Amaretto, Frangelico, Kahlua, or even orange-flavored liqueurs work well). Using a 12-cup coffee maker, brew a pot of coffee with the above ingredients. Use some sort of flavored variety for your coffee grounds, and you may use decaf or half-caf, if desired. I usually use something like a regular caffeine hazelnut mixed with a decaf vanilla. Meanwhile, combine the remaining ingredients in a 2½-quart pitcher or similar container. Pour half of the brewed hot coffee into the pitcher and mix well. Add the remaining coffee. You can serve hot immediately, or let it cool an hour or so. Cover and chill overnight, then serve over ice. Makes about 6 servings.